People often wonder what we mean when they hear us talking about spoons or that we are unchargeable. These are words I never used before joining the world of the chronically ill and disabled. In this post I will try to explain the meaning behind these terms and which one I identify with most. Both these terms refer to our body’s inability to produce enough energy. People with chronic illnesses tend to be very low on energy. It seems to be the nature of these invisible illnesses to cause a serious lack of energy metabolism. Somehow the body just cannot produce enough energy to complete simple daily tasks. We end up in a type of energy debt. Think of it this way: Each activity we do, whether it is simply getting dressed or eating, requires energy from the body to make the necessary muscles move and in order to complete each microscopic function in each cell. If our body can not produce the amount needed to complete the task, it starts to crash. Muscle weakness and fatigue is inevitable. It is basically the equivalent of forcing the body to function without fuel. So it borrows the energy. It is unclear where it borrows from, it could be fat stores, it could be adrenaline, it could be sheer willpower, but the problem with loans is that the payback comes with interest. So you start the next activity with a debt and once again will require a loan to get through it. Lets say preparing a meal, everybody needs to eat, right? So now on top of the muscle fatigue and weakness, you start to tremble and shake and your brain is no longer functioning at normal capacity, the brain fog has set in. You become clumsy and forgetful, it is no longer safe for you to be in the kitchen alone. This is how a chronically ill person goes through each and every day. This is why you might think we are consumed or obsessed with talking about our condition, but if you think about it in a practical sense, you might find that it is impossible to go through even a day without constantly thinking about your body and whether it will be able to complete the next task and weighing the likely payback against the benefits of completing the task. One day, a lady named Christine Miserandino was trying to explain this concept of energy debt to her friend while they were out at a diner having lunch. Using the only props she could find, spoons from the tables around her, The Spoon Theory was born. It boils down to this: the spoons represent your energy supply. Healthy people have an unlimited supply, but chronically ill people have a very limited supply. We might start the day with just ten spoons (some of us start with way less, maybe only 2). Each activity you do will require a spoon, some more strenuous or stressful activities will require more spoons. For me, getting dressed might require one, brushing teeth requires 2 (walk to bathroom, standing, balancing, vigorous arm movements, walking back). If I’m flaring and only woke with 2 spoons, then that’s me done for the day. The rest of the day I’ll be in bed, going into energy debt each time I need to visit the toilet or eat a meal somebody else has prepared for me. (Chewing and digesting also take a few spoons). This Spoon Theory spread like wildfire and has become an internationally accepted method for explaining our energy deficit. Chronically ill people are often referred to as Spoonies, they refer to themselves and each other that way. A spoonie is basically a person with a chronic illness who is low on energy (spoons) and is in need of more spoons. The idea of being unchargeable is pretty straight forward to many people whether healthy or chronically ill. The idea that your “battery” is low comes more naturally than spoons, in my opinion. Though people with chronic illness have a battery that doesn’t recharge no matter how long you leave it charging. We’re unchargeable. Most of us have experienced this at some point. Think of an old mobile phone. Over time it starts needing recharging more often throughout the day. Eventually you have to leave it plugged in for hours and it never fully charges. This is what it is like for us unchargeables. For healthy people, sleep usually equates to recharging, but for the unchargeables, no matter how much we rest or sleep, we don’t wake up with more energy, we might even feel worse! This is because most chronically ill people suffer from unrefreshing sleep or even insomnia. This means that on top of never really having enough energy to complete a task because our bodies are incapable of producing enough on demand, we often cannot get to sleep and when we do it doesn’t do what it’s supposed to – refresh us. This means we wake up in a larger energy debt than when we went to bed. There is a huge unchargeables community online, founded by Natalie van Scheltinga. It includes support groups and a shop where you can purchase chronic illness clothes and gifts to support unchargeable spoonies in need. I’m currently volunteering for them as an Instagram and Twitter admin too. So, are you an unchargeable or a spoonie? Personally I have always identified with the mobile phone analogy. The idea that my battery is running on empty, unable to fully charge. The spoon theory does have its practical advantage though, it helps people to understand better when you explain this energy deficit to them if they can physically see the spoons being taken from them. Although anything could really be used instead of spoons. If you’re on the beach and find yourself needing to explain why you’re so exhausted, use seashells or pebbles. If you’re in bed, use your medication or even your socks! Some people just understand things better if they see it happening in front of them. Hopefully these explanations were clear enough and help you to understand the kind of energy debt we deal with daily and why chronically ill people use such strange names for each other. I hope for those who are ill that this helps you to better explain your condition to those around you. Let me know in the comments which term you identify with most or if you have a different way of explaining your condition to the healthy people in your life. Thank you for explaining it in such a way that is so easily understandable. Whilst I’m not personally experiencing what you are; as someone who knows you it’s good to understand what is going on in your life. Thanks, Shayne! I’m glad the explanations make sense. Raising awareness is definitely my main aim here as well as helping newly diagnosed patients to understand the condition, so I’m trying hard to be clear… even with the brain fog! Thanks for the link, Desiree! I quite like that analogy too. Hello. I stumbled across your Instagram as I was searching #spoonies. I have thoroughly enjoyed your posts, and I just now came to your blog to read “Are you an unchargeable, or a spoonie?” I really like the unchargeable explanation….. I think it will be easier for the chargeables to understand where we are coming from! Thank you for your positivity…..
Hi Nicci, Thank you for stopping by! I agree with you about the chargeables understanding the unchargeables term better. I hope you are having a lovely day. Sending hugs back from England! They say you learn something new every day. I have never heard of unchargeable or spoonie, but now if I do, I will know what they mean. So, thank you! And, I’ve actually experienced both when I was very sick before being diagnosed with Celiac disease. It’s been five years now, and luckily my body has somewhat recuperated, but I still don’t have the energy I did before getting sick. But, when I was at my sickest (for 2-3 years), I had very little energy every single day. I dreamed of the day where I didn’t feel deflated all the time. Thanks for the great informational article! Hi Erin, Glad you found this post informative. Sorry to hear that you also identify with this type of fatigue. 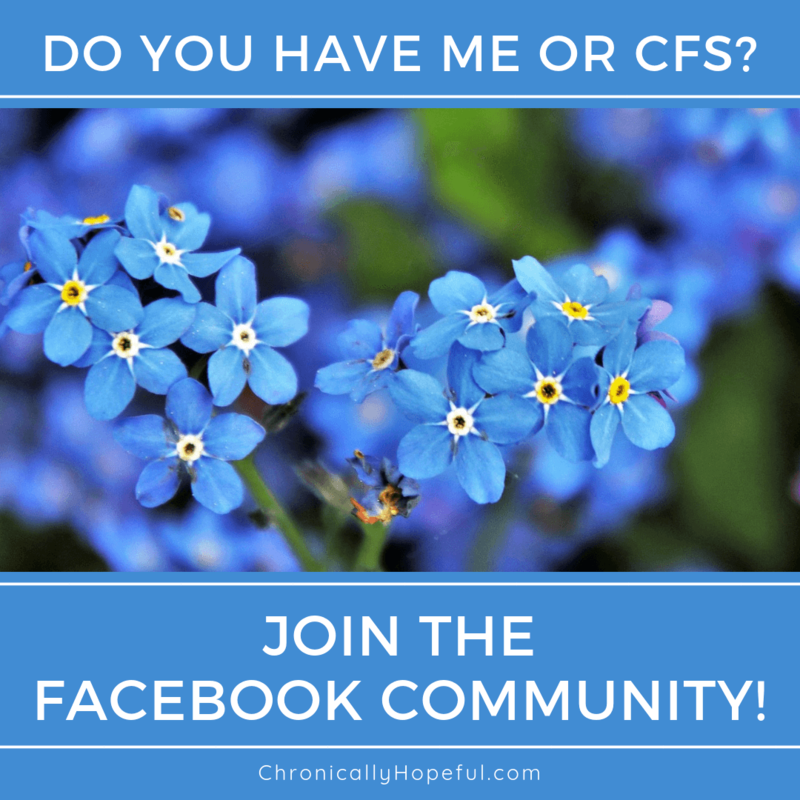 Celiac disease definitely qualifies you as a spoonie/chargie! Excellent post! I’d have to say both. I heard about the spoonies first but can totally relate to unchargeables too. Thank you for spreading awareness! Thanks, Mishka! Glad you enjoyed the post. Thank you! I assumed I had to be a spoonie with fibro. But I relate so much more to the chargie!!! Hi Fellow Chargie! Glad you feel like you can relate with the unchargeables. I also think it is an easy to understand analogy for the times we live in. Have a great weekend! Hi Lesley, thanks for stopping by. You’re right, it’s not that we don’t charge at all, but we never seem to fully charge with rest like healthy people do. Great analogies that I will incorporate into my many attempts to explain my ailments. Interestingly enough, when I am on steroids I feel the most “normal” or as close to my previous life as I have ever felt. It gives me a “fake charge”! Thanks for the info.! Hi Corinne, glad you have found these explanations helpful. And that you’ve found something that gives you a bit of a charge too, that’s great! For me it’s MSM, Vitamin B complex and a high fat diet that give me a boost. Thank you for this explanation – I’d never really related to the Spoonie idea, but hadn’t heard or Unchargable in relation to chronic illnesses until now & it completely resonates with me! Thank you for writing such a succinct article that I can share with others to explain why I always seem to be “half charged “!! So true, it really does cause havoc, doesn’t it? I also think the battery analogy makes more sense, especially for the younger generations that grew up with technology like mobile phones.